Locks provide security and comfort for possessions and even one’s safety. Therefore, the public is entitled to safety and stability in the locks used to secure their well-being, regardless of design. This understanding is the basis for many standards written by the Builders Hardware Manufacturers Association (BHMA), an ANSI-accredited standards developing organization representing more than 80 percent of all US builders hardware manufacturers. 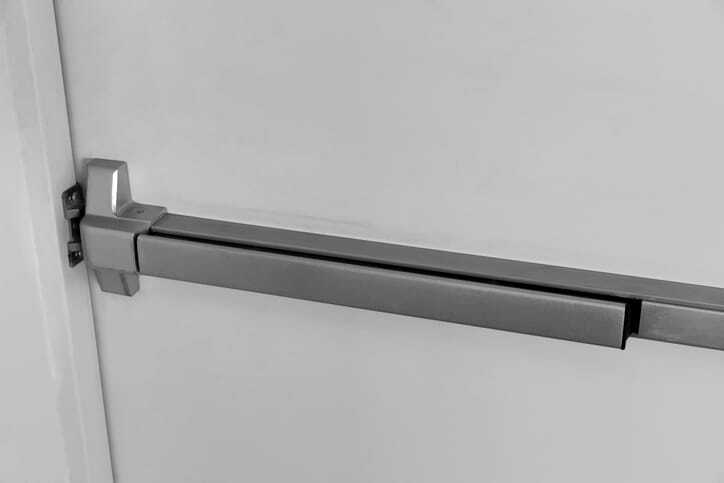 The newly revised American National Standard, ANSI/BHMA A156.24-2018: Delayed Egress Locking Systems, incorporates a combination of devices to deter theft while maintaining life safety. Delayed egress locking systems consist of hardware that prevent a door from being opened from the egress side, typically for a period of 15 or 30 seconds. These systems often include an exit device with delayed egress features or an electromagnetic lock and power supply with delayed egress circuitry. The device is actuated when a force is continuously applied on the door or release valve for three seconds. When this happens, an irreversible process is initiated, activating an audible signal in the vicinity and locking the door on the egress side for 15 or 30 seconds before releasing to allow egress. Since they need to be designed to prevent theft with life safety in mind, delayed egress systems need to perform reliably. In meeting this need, ANSI/BHMA A156.24-2018 includes performance criteria and tests for functional, cycle, operational, fail-safe, and overload requirements. The standard also thoroughly details additional information on these locking systems. Please note that delayed egress locking systems are subject to building, fire, and life safety code requirements, so several standards need to be consulted in addition to ANSI/BHMA A156.24-2018 during their design and installation. Such compliance documents include the International Fire Code (IFC), the NFPA Fire Code (NFPA 1), the International Building Code (IBC), and/or the Life Safety Code (NFPA 101). ANSI/BHMA A156.24-2018: Delayed Egress Locking Systems is available on the ANSI Webstore.